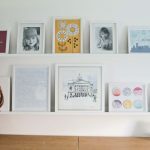 Earlier this week, I told you about One Stop Colour Shop’s newest Pantone Universe mug sets by Room Copenhagen, the ‘Brights’ and the ‘Pastels’. These two sets of five Pantone mugs, costing £51.00 each (RRP £64.95), bring together some of the range’s most popular colours and are sure to be a stunning addition to any kitchen cupboard. For further details, check out my post (HERE). 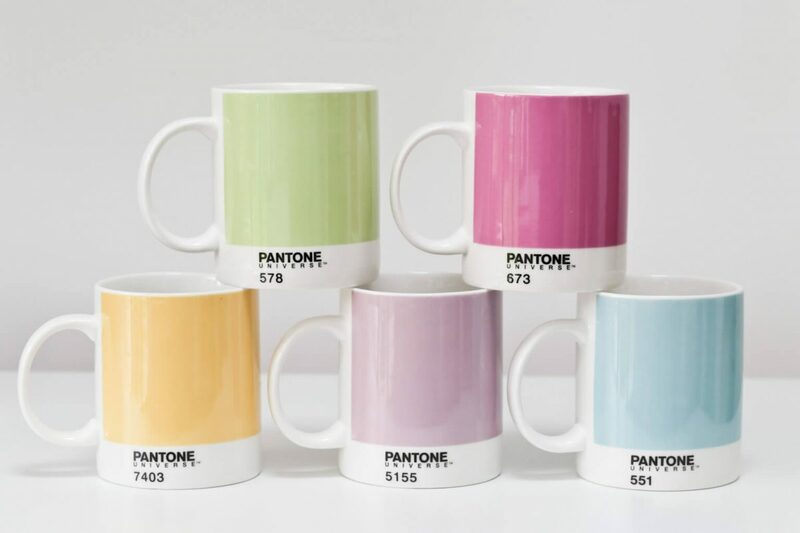 The ‘Pastels’ Pantone mug set. 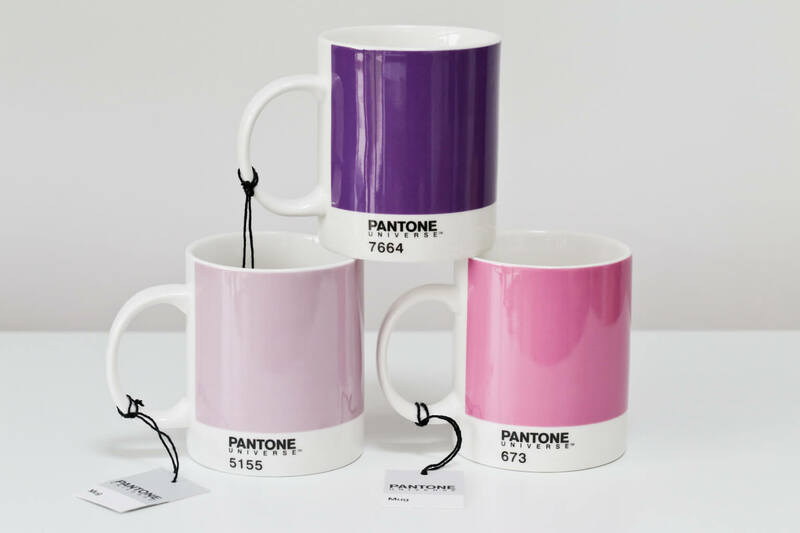 Win a Set of 3 Pantone mugs from One Stop Colour Shop worth £36. 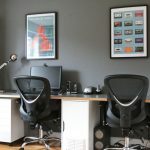 I’m delighted to say that One Stop Colour Shop are offering my readers the chance to win 3 Pantone Mugs worth £36. 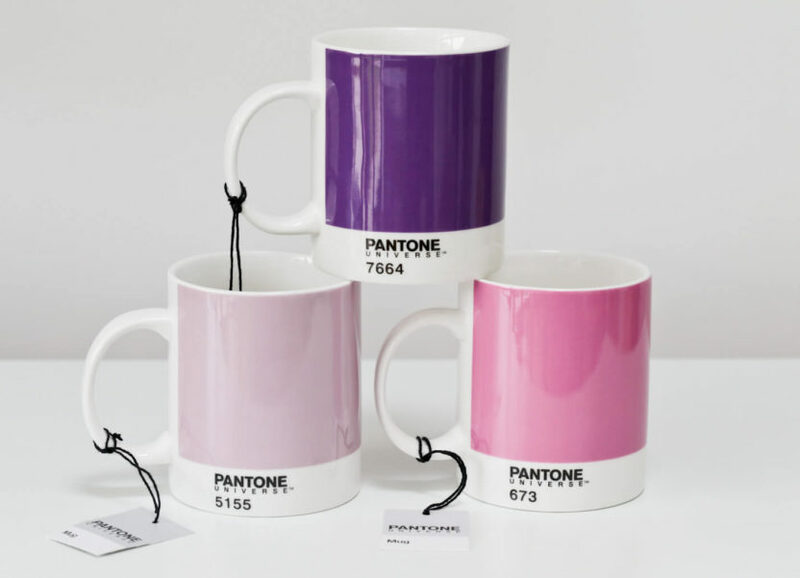 This gorgeous set of 3 purple/pink Pantone Universe Mugs, (No’s: 673, 5155, 7664), by Room Copenhagen, are design icons. 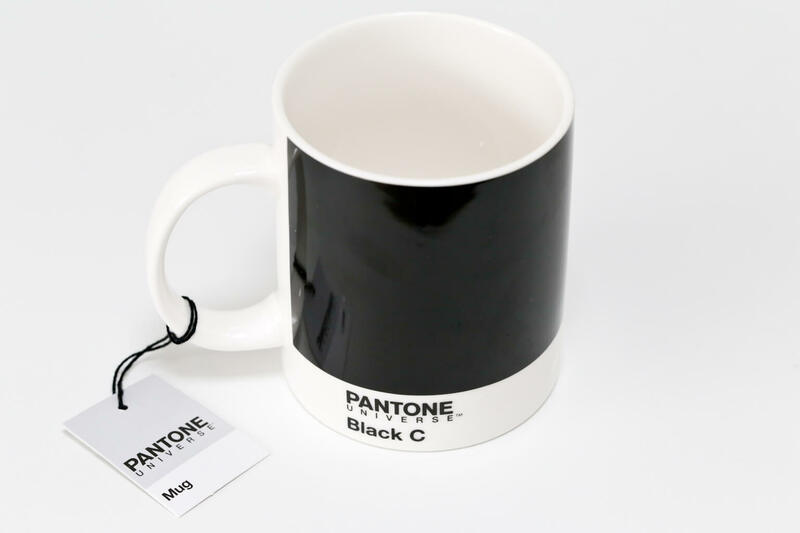 The mugs measure 9.4 x 8cm (340ml / 12 fl.oz) and are glazed with a pattern resembling the iconic Pantone colour chip with the Pantone colour name and number. They are made from bone china and are dishwasher and microwave safe. 1. 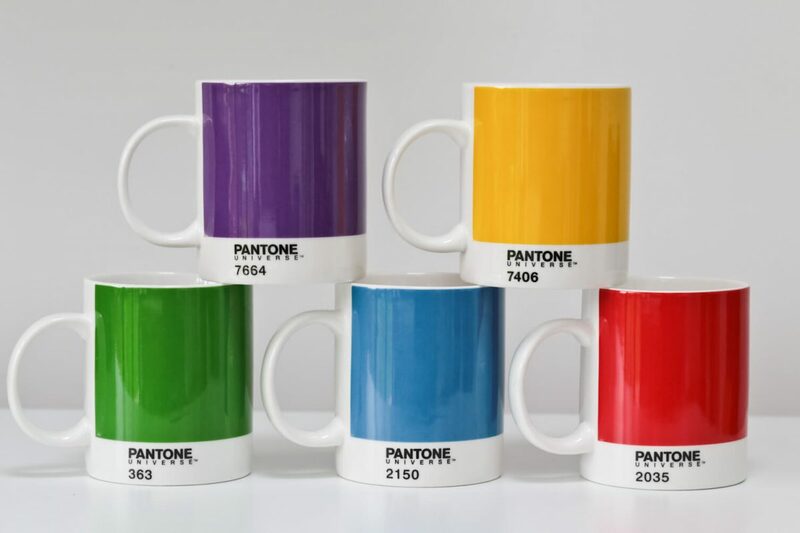 There is one Set of 3 Pantone Universe Mugs (No’s 673, 5155, 7664, as shown) available for one winner. 3. Up to 4 entries per person. All are compulsory methods of entry. 7. 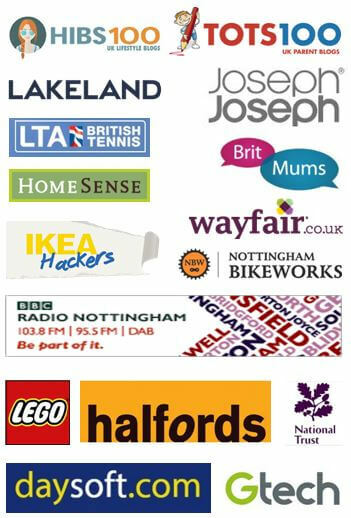 Entries must be received by 11.59pm on 11 May 2017. 8. The winners will be chosen at random and notified by email on or after 12th May 2017. Don’t forget to take advantage of the exclusive reader offer. 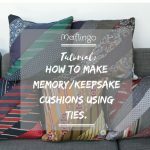 As I mentioned in my earlier post, I’ve secured an exclusive offer for Maflingo readers. To take advantage of the offer, place an order for either a set of 5 ‘Bright’ Pantone Mugs (Product code: OSCS450) or a set of 5 ‘Pastel’ Pantone Mugs (Product code: OSCS454) at One Stop Colour Shop and enter the promotional code: SPRINGFG17 at the checkout to receive a Free Pantone® Mug Black C worth £12*. Visit One Stop Colour Shop for more Pantone Universe products. 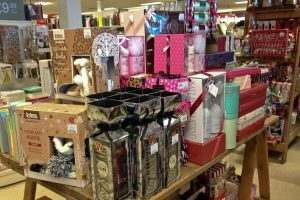 Why not visit One Stop Colour Shop and have a look at all of their fantastic Pantone® Universe products and take advantage of the exclusive reader offer? Disclaimer: One Stop Colour Shop supplied the Pantone 3 mug set for the giveaway, but as always all words and opinions are my own. 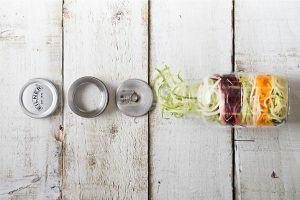 Review & Giveaway: Say ‘No’ to spaghetti & ‘Yes’ to courgetti with the Kilner Spiralizer jar! Kilner may have been producing high-quality glass jars for 175 years, but they've moved with the times too. That's certainly true with the newest addition to their range, The Kilner Spiralizer Jar. Read on for my review and for a chance to win one. My favourite mug is my auntie mug. I can’t have children myself, so my niece and nephew mean a lot to me. I love being an auntie!! I love my You are the Best Mum cup – present from my son. I have a large pint size Emma Bridgewater Wallfolower mug which I love! It is perfect for my large lattes and hot chocolate! I call it my comfort mug! My “Yorkshire Lass” mug because it is just right for me! my colour changing mug that has a photo of e and my daughtr on fromw hen we went to india, my daughter got me it for christmas i love it! I love my mug, it’s the size of soup mug! I have a lovely pink and white mug bought in France, which evokes happy holiday memories when I drink my coffee. My favourite mug was Mother’s Day present from my daughter. It’s quite ugly, a browny-grey colour with a strange triangular handle which is pretty uncomfortable BUT I love it! I have one with badgers on it and this is special to me because we have badgers visiting our garden every night. Love my photo mug at the gran canen, a gift from my brother. I love Pantone mugs. I have never seen the black one before. I’ve got a mug from my partner – it’s an Aquarius mug for my star sign and tells you all about Aquarians. I’ve had it for years and it’s seen better days now ! My favourite mug says sister on it and i got it from my sister so it is so special to me. I don’t really have any that are special as such, but I do have favourites which is a set of 3 (it was four…) with bright red poppies painted on. It is such a bright and cheerful design and I always reach for one for my early morning coffee. I made Ryan Giggs a mug of coffee in my Cardiff City mug. My favourite mug is one I have that changes colour when it gets hot. My love my “best mummy” mug, because my 3 kiddies put their money together to get it for me. I love my ‘Mary’ mug, it’s my grandmothers name and it was her mug before she passed away. My favourite mug is is a China one my nan gave me. It has a Victorian scene on it and tapers out at the top. It’s so nice to drink out of. I have a wonderful mug by Sarah Travis – it’s a floral mandala and is just beautiful. So beautiful I’m now in the process of buying the original painting it was based on! ? It makes me happy every time I use it. Always have to have a white china mug with a thin lip – I think the tea tastes better! My favourite mug is my stoneware mug which is just the perfect size and has a lovely feel to it. My current mug says ‘World’s no.1 Mum’ on it…well it was a Mother’s Day present from my little fella. my favourite mug is a hello kitty mug that I’ve had for as long as I can remember! I use this mug for every drink everyday and i hate when it’s in the dishwasher! 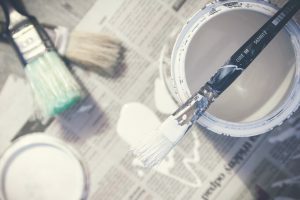 OO I like the top three colours – I think you have me hooked! That would have to be my mummy mug, that my daughter painted for me. My favourite mug which says,’You can never get a cup of tea large enough or a book long enough to suit me’. I love it because it’s so true. I do have a very large blue glazed pint sized mug in the style of an old fashioned flagon. This is my favorite as it was a birthday present, and i can get the most tea in it! One we bought my husband for his first Fathers Day, with a picture of our son on! My Doctor Who mug! (a present from my daughter). I have a big red tartan mug from a Fairtrade Hamper that i got for Christmas about 10 years ago.Its such a nice large and slightly square shape and very tactile to hold. My favourite mug is one my son gave me as a present. It has a picture of my family and dog on it. A red patterned cup my daughter bought me. my favourite mug was given to me as a Secret Santa at work. It had a cartoon on it where a woman was saying “Men who call women ‘Sweetheart’, ‘Baby’ or ‘Honey’ should have their little tiny peckers cut off!” I thought it was hilarious. my fave mug is my mickey mouse one! its something about it that feels so homely! My favourite mug says Facebook addict on it – need I say more! My favourite mug was my first mother day mug 15 years ago. 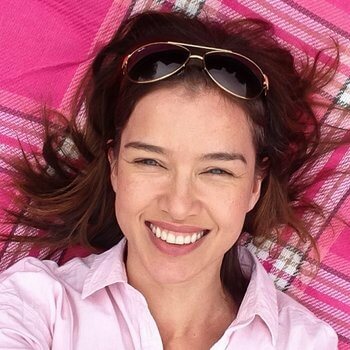 A reminder of I lucky I am to be a mum. My fave mug is my star trek one as it’s thick and large and I’ve had it for years with no chips on the edges – durable, eh?!! I don’t have a favourite mug, probably because I don’t have hot drinks often. A very occasional cup of rosehip and hibiscus herbal infusion. 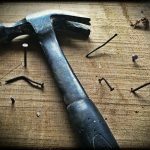 I remember being really upset when the handle fell off a mug my gran had bought for me. Could be 40 years ago now. Scary. I’m obsessed with mugs. My favourite is a cute rabbit one I bought when I first moved away from home. My favourite mug is a oversized Minnie’s mouse mug . Bigger the better I say especially when it’s the morning much-needed coffee ! ? I love my collection of mugs but my favourite is the one my daughter picked for me with her initial M and M for mummy of course! Always makes me smile when I make my tea. Funny how mugs get to be special, isn’t it? My favourite is one my daughter gave me and it has a beautiful pigeon print on it. I love pigeons. Perfect gift for me. It says “mummy” on it and my kids got me it for mothers day. My favourite my is my ‘Xena – Warrier Princess’ – ‘Worship me like the Goddess I am’ mug. Bought by my partner and had it for years! I have a mug that a little girl gave to me many years ago. She’s all grown up with kids of her own now. My favourite mug is my Nanna mug. Although not actually mine as my children bought it for my mum it reminds me of my mum everyday. Mind you it’s pretty old now . One of my favourite mugs is my Alice in Wonderland mug my sister bought me for Christmas. My favourite mug is my NASA mug. My husband and I were lucky enough to visit NASA in Florida a few years ago. It reminds me on all those fabulous rocket lunches in the 60’s and 70’s. A wonderful time of space exploration. I must say these are beautiful mugs, thank you for the chance to win. My favourite mug is my Arsenal mug as I am an avid Arsenal fan! My tea club mug. Just the right size for my cuppa tea. It is a mug that was given to me when I bought my own house. I use it every day.